Nancy Lyons, CEO of Clockwork, talks about leadership, standing out, telling the truth, not behaving, and noticing the happy. Nancy Lyons, Founder and CEO of Clockwork Active Media, talks about leadership, standing out, telling the truth, busyness, not behaving, and noticing the happy. Nancy works at the intersection of technology, community, and people. As a leader and technologist, she creates solutions that further community and business goals by meeting the needs of individuals. Nancy supports clients and teams by fostering a collaborative, idea-driven culture that nurtures creativity and brainpower. She speaks extensively about work culture, social media, technology, and leadership and has been locally and nationally recognized for her role as owner and CEO of Clockwork. 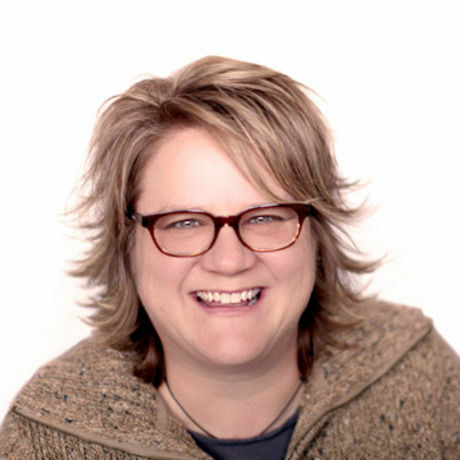 She’s co-author of Interactive Project Management: Pixels, People, and Process (New Riders, 2012), serves as the Vice Chair on the National Board of Directors at The Family Equality Council, is on the Board of Trustees at Minnesota Public Radio, and is a member of the advisory board for the innovative entrepreneurial conference, Giant Steps.